Happy Monday everyone! I had a brain-wave for this weeks project whilst reading your comments for the heart brooch I posted last week. A few of you commented on how the brooch would be perfect for Valentines Day so I put on my thinking cap for another suitable project for Valentines Day (which is 3 and a half weeks away). Here it is – my heart shaped pom-pom garland. If you can make pom-poms then you can make this. 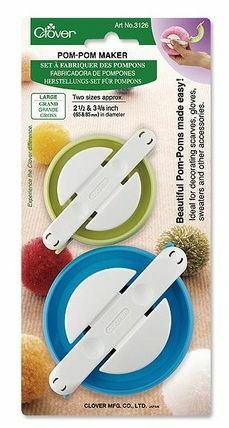 … and 2 sizes of Clover Pom-Pom maker, the 1 inch for the extra small balls and a 2.5 inch for the large pom-pom. If you need a video tutorial on how to use it click here. I made 6 small pom-pom balls and 5 of the larger balls. To create the heart shape of the larger pom-poms I got some scissors and cut them to shape – it really is as easy as that. Have a bag on your lap while you trim them as it’s a messy business 🙂 When all the trimming is completed then thread the balls and hearts onto a length of the same yarn, alternating them as you go. NB. When threading on the heart pom-poms do so towards the upper half of the pom-pom so that it hangs the right way up when displayed (otherwise you get an upside down heart as there’s more weight in the upper half). Hopefully this has inspired you to have a go yourself. I had no idea you could buy Pom Pom makers that is so neat! Stocking caps here I come. What a fabulous idea, thanks for sharing. I went ooohhhh when I saw this! Being a big fan of the pom pom maker this is a lovely idea for a girls bedroom. I’ve seen the heart shaped pom pom makers but didn’t appreciate you could just trim them into shape so easily. 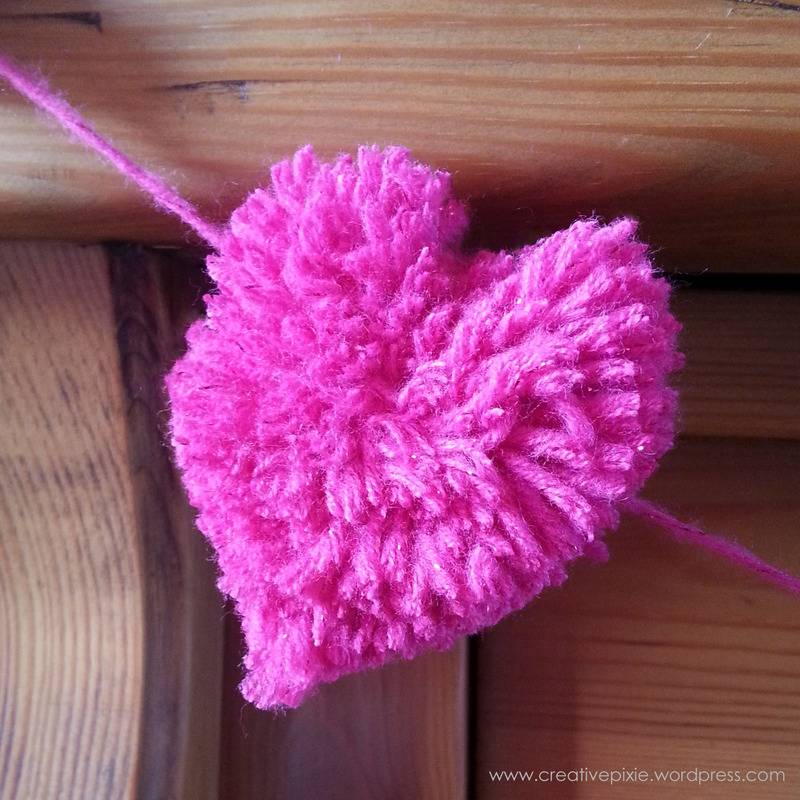 I didn’t know you could get heart pom-pom makers – probably alot easier and tidier than cutting it. He, he, that’s brilliant. I might have to put pompom makers on my wish list for next Christmas! They’re so easy to use though they do take up a lot of wool. Jean, that is the CUTEST!! I love it, and love the color, too. This is so sweet and pretty, I love it! What an adorable idea for Valentine’s Day!!! That is a sweet garland!!! I love it! I have never seen those pom-pom makers before. They look pretty easy to use. I will have to look for it the next time I am at the craft store. I bought a couple of the round pompom makers over Christmas here in France, having heard all the fuss about them in the U.K., and I saw a heart shaped one for sale. 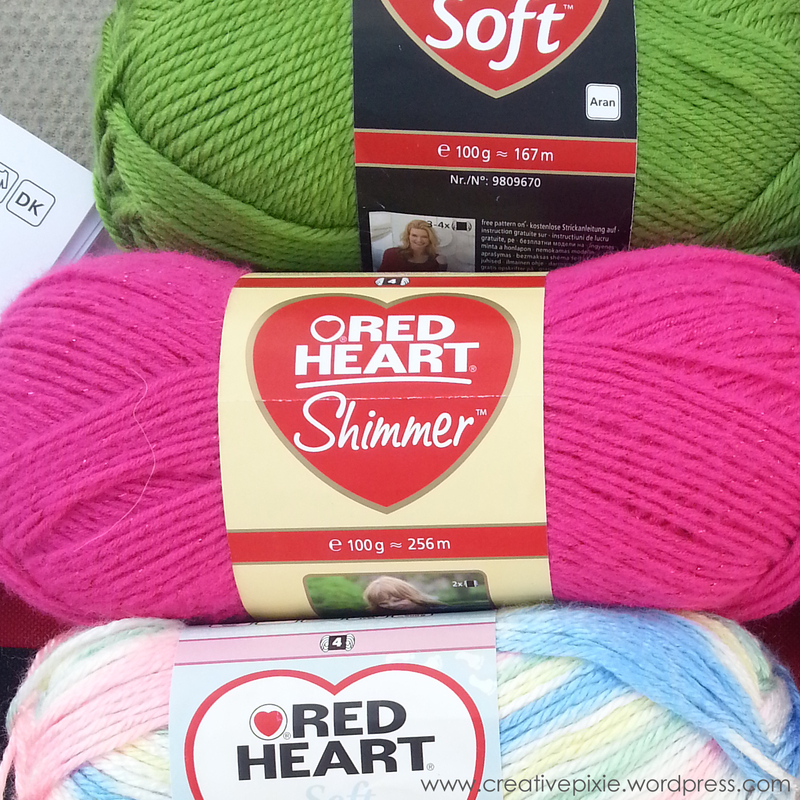 I wondered what could be done with heart shaped pompoms and now I know! !